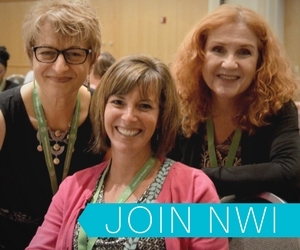 Your GW4W membership includes a discount to add all the benefits of NWI membership! As a member of GW4W, sign up today for a 1-year, NWI Individual Membership for only $99 (a $36 savings)! Use code GW4W99 at checkout. Offer is valid for GW4W members only. Why become a member of NWI? New NWI Online Learning Portal! Members can earn the continuing education credits (CECs) needed to maintain certifications such as CWP, ACSM, and CHES through on-demand webinars offered on the new NWI Online Learning Portal, and via monthly live webinars. Plus, NWI’s popular Worksite Wellness and Wellness in Clinical Practice certificate programs are now offered online with additional online courses are in development! to become a member of NWI today! NWI Membership Director Sherri Galle-Teske.